Cape Town - Bidvest Wits will host Ajax Cape Town in a midweek Absa Premiership clash at the Bidvest Stadium. 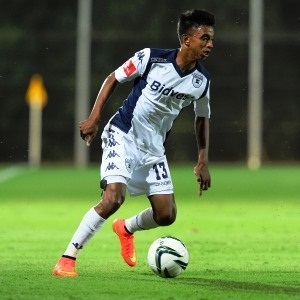 Wits recorded a third win from their last four league matches when they defeated Bloemfontein Celtic 1-0 on Sunday. The Johannesburg side has claimed 13 points from seven home matches this season. Their next three league opponents are Platinum Stars (away), SuperSport United (home) and University of Pretoria (away). The Clever Boys are placed third on the PSL log with 23 points from 14 matches. Ajax played to a third draw from their last four league matches when they were held goalless at home by SuperSport United on Sunday. The Cape Town side has claimed six points from as many away matches this season. Their next three league opponents are Orlando Pirates (away), AmaZulu (home) and Mamelodi Sundowns (away). The Urban Warriors are placed fourth on the Premiership log with 23 points from 14 matches. In head-to-head stats, Wits and Ajax have met in 29 league matches since 1999/2000. The Urban Warriors have 10 wins compared to nine for the Clever Boys, while nine matches have been drawn. Wits have won five of their 14 home matches against Ajax, suffering three defeats in the process. The teams have met once already this season, with the Urban Warriors claiming a 3-1 win in Cape Town back in August. Kick-off is at 19:30 on Wednesday, December 10.